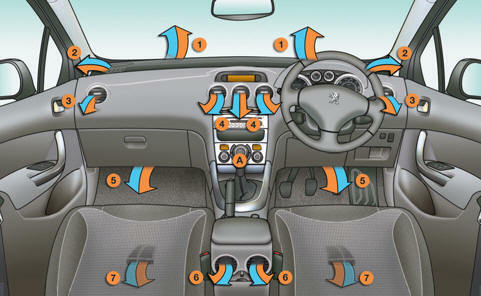 The air distribution control enables you to diffuse the air in the passenger compartment combining several air vents. The air flow control enables you to increase or reduce the speed of the ventilation blower. - manual or digital air conditioning controls.